Police have today taped off Nest Farm Crescent. 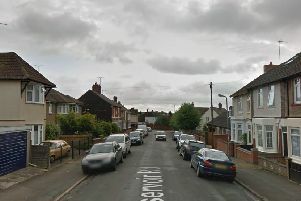 Northamptonshire Police have launched a murder investigation following the death of a man in Wellingborough in the early hours of this morning (Saturday, 1 December). Emergency services were called to reports of a serious assault in Nest Farm Crescent, Hemmingwell, just after 2am. A murder investigation was launched this morning. A cordon is currently in place on Nest Farm Crescent and a forensic investigation is underway.